Is delivery free to the USA? Sorry, we don't deliver to the USA. Our free delivery service is only applicable within the UK. Do you supply black cartridges for the Lexmark X3470 printer? No, black cartridges aren't required by the Lexmark X3470 printer. The Lexmark No. 1 colour cartridge uses its colour inks to produce a process black so you only require one cartridge for this printer. Want the cheapest prices for your printer cartridges? For fantastic deals, plus much more, buy all of your supplies with Cartridge Save. We're are experts in supplying our customers with discount Lexmark X3470 ink alongside our stress-free ordering experience. Looking all day to buy the cheapest printer cartridges is a great way to waste free time There's no more need to check prices - the cheapest offers are be found here. So save cash and spare time, buy with Cartridge Save. Have satisfaction if you place an order with Cartridge Save courtesy of our rock-solid refund guarantee, which comes as standard . If you happen to encounter complications with your printer cartridge within 12 months after purchase simply post it to us for a total reimbursement. Don't forget that we offer complimentary overnight delivery for everything presented on our shop. In an era of soaring bills, you would be daft pass on these quick and easy deals! The Lexmark X3470 is a mid-range all-in-one printer with reasonable print speeds. It delivers good quality documents and photos. 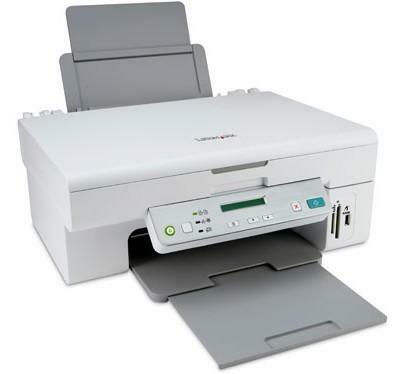 The Lexmark X3470 multifunction printer also has the capability to scan and copy. Print speeds can go as fast as 17 ppm on draft mode, but drops when it switches to normal mode. The Lexmark X3470 all-in-one has a monthly duty cycle of 1000 pages. The compact Lexmark X3470 weighs 4.1 kg and has dimensions of 152.5 x 375 x 316 mm. It uses thermal inkjet printing method and has a maximum print resolution of 1200 x 1200 dpi for black and 4800 x 1200 dpi for coloured. Extendable input and output paper trays are available; the Lexmark X-3470 can handle 100 sheets at a time. The control panel is easy to use and it features a monochrome LCD display. Photo lovers can easily print vibrant pictures with the X3470 thanks to the built-in memory card readers and the PictBridge port. For a multifunction printer, the Lexmark X3470 is rather small and can easily fit in storage spaces. The Lexmark X3470 inkjet printer delivers good quality output and can also deliver good copies plus scans with a maximum resolution of 19200 x 19200 dpi. Only a USB port is available for connectivity and the Lexmark X3470 multifunction printer only supports Windows computers. Print speeds are slow at 5 ppm for coloured and black and white prints on normal mode.